WashRide.com - What's Your Sound? A style of drumming where the driving beat traditionally played on a hi-hat or ride cymbal, is now played in an open crashing style, creating a penetrating "wash" or roar of cymbal sound. You hear it on more and more songs, from all types of musical genres, a crash driven beat. This style is usually called Crash Riding or Wash Riding and it is becoming increasingly important. Here at WashRide.com we want to help you find the right cymbal for your wash riding needs. 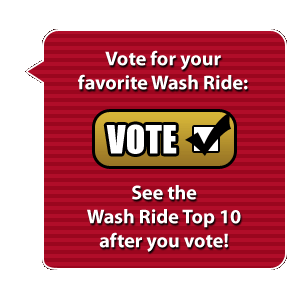 See the Wash Ride Top 10 after you vote! Lots of Wash Ride talk in the Sabian community, join in. Featured Wash Ride: Sabian's 18" HHX Evoloution O-Zone! Click here to watch the crashride now!